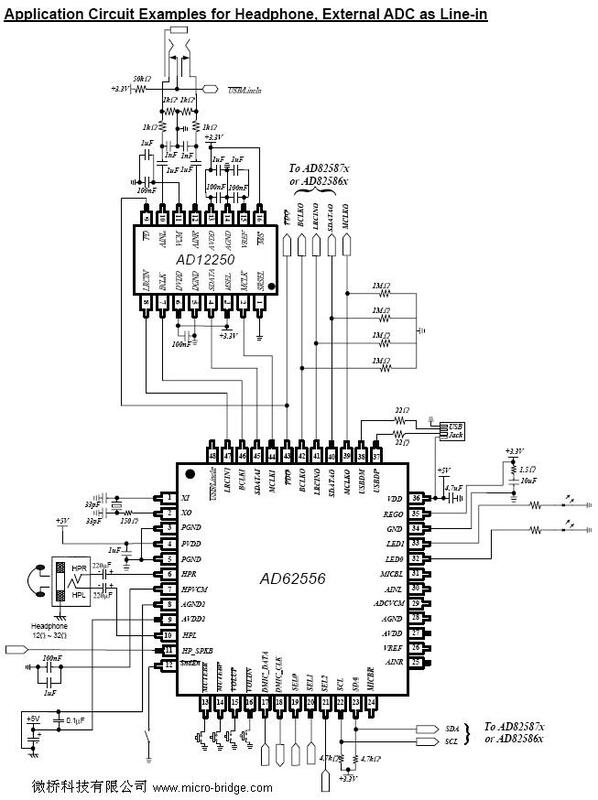 AD62556 is a highly integrated USB single chip for headphone. Many useful features are programmable with pins or I2C control. The device also has an I2S input port and I2S output port. The I2S input port allows other external audio sources to use the class D amplifier to share the headphone. The I2S output port allows other high performance audio device (i.e. AD82586/AD82581B). high performance ADC(i.e. AD12250) z I2S output port allows AD62556 to control ESMT’shigh performance audio devices (i.e.